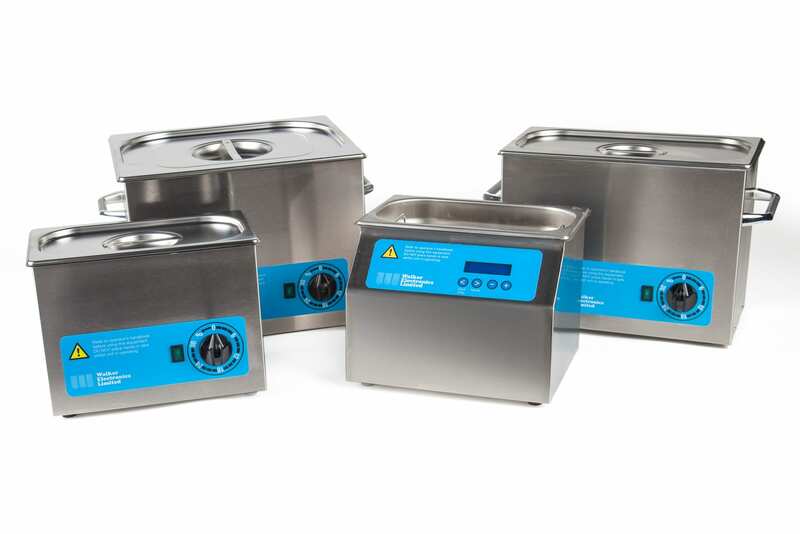 The UK Leaders in Ultrasonic Cleaning Equipment..
All of Walker Electronics Ltd ultrasonic cleaning baths are skillfully constructed in Collingham using quality assured components. Each unit is covered by our comprehensive guarantees – one year on the unit and five years on the transducer bonding. Any repairs, in or out of warranty, are completed in our workshops in Collingham. Sometime a case or tank may sustain a small scratch or dent in the latter stages of production. Rather than scrapping these unit will sell the at a discount price. They are all BRAND NEW and come complete with the full warranty and accessories but are £££’s less than our normally retail price. A real bargain! PLEASE NOTE…As these units are identified whilst in production they are not always complete, however delivery is usually within 14 days from date of order/payment. 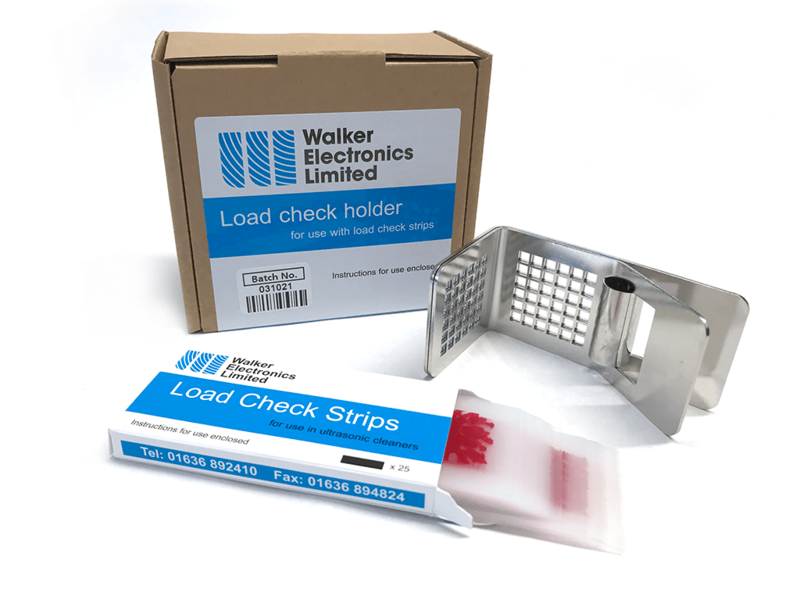 Unlike many companies, Walker Electronics Ltd supply ALL of their units complete with Stainless Steel Lid, Electropolished Basket, Full operators manual and a plug, so you can start using your unit as soon as it arrives. 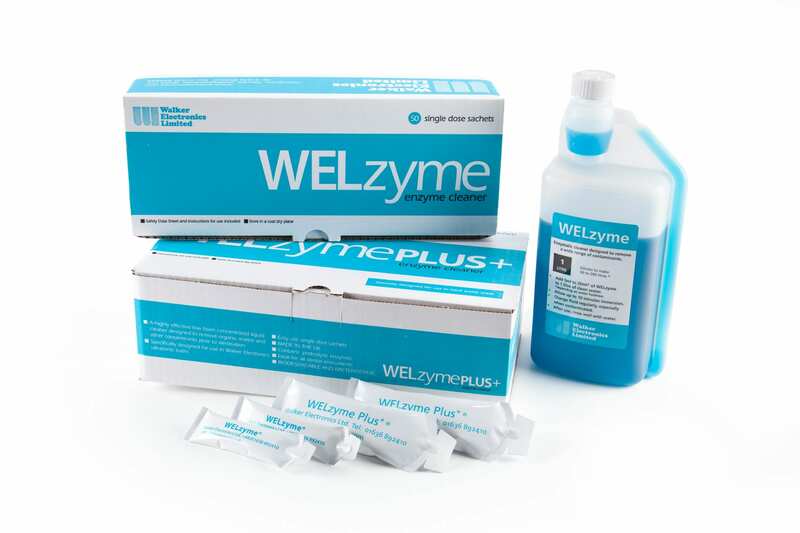 The models QC and Q105 also come with a sample of WELzyme cleaning fluid. Should you purchase an ultrasonic cleaning bath and cleaning fluids or accessories we will include the fluids/accessories TOTALLY FREE OF ANY CARRIAGE CHARGE. Due to the payment processing system, on checkout you may be charge extra, however, we will credit any overpayment to your account. The type of cleaning solution depends on the type of contamination and items to be cleaned. All of our cleaning solutions are designed to facilitate the removal of contaminants by ‘softening’ them thus aiding their removal by the ultrasonic cleaner We offer a comprehensive range of cleaning solutions for a wide range of applications. Should you not see the ideal solution for your application, please contact us and we will be able to help you further Walker Electronics Limited have been developing and manufacturing cleaning fluids for over 40 years. We are continuously improving our products as well as developing new ones ensuring that we are able to provide a product to fit the users requirement and budget. Our staff have a vast knowledge of different applications and are always willing to investigate new projects. If you are unsure of which is the correct cleaning solution for you – give us a call. We are here to help you! Rinse surgical instruments thoroughly in water prior to sterilisation. Rinse clock/watches cleaned in WELclean in a sprit based rinse and leave to air-dry. A drying cabinet/hot air blower may be used to speed up the drying process. Items cleaned in Jewellery Concentrate should be rinsed in clean warm water before air drying. Components cleaned in WELbright should be lightly rinsed in clean water.